Buy Your Golden Gate Grinder Now! Directly from the birthplace of western counter culture comes the best damn herb products you've ever seen! 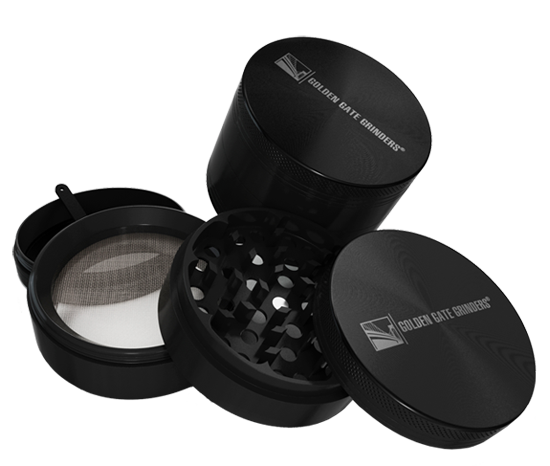 The Golden Gate Grinders Classic 2.5″ is now available on Amazon! I was looking for a replacement to an old handle-top grinder for some time. I have tried a bunch and kept having so many problems with pieces of metal flaking off here or there… not what you want in herbs and others simply rust for seemingly no reason. Thankfully, this grinder has had none of those problems at all. The piece is sturdy, grinds with ease and the middle chamber is large enough to hold a fair amount of ground product while the bottom chamber, under the screen is perfectly sized to keep a great little stash. This grinder is definitely worth your money. I have paid far more for less quality and more problems. Also, I didn’t see it mentioned in the description but a little scraper was included for the bottom chamber, making scraping and scooping a whole lot easier. Great little extra for an already great purchase. This is a very well manufactured grinder and produces a perfectly ground herb. I was hesitant to buy a grinder made of aluminum, but I read what Dr. Andrew Weil had to say about anodized aluminum: “Anodization subjects the surface of aluminum pots and pans to a process that builds up the metal’s natural coating of oxide. This should yield a hard, nonreactive substance that forms a tough coating.” I still have some concerns about grinding and grinding and what that will do to the oxide coating, but overall, I think it’s safe. I would love to see one of these in stainless steel, but no one makes one!!! 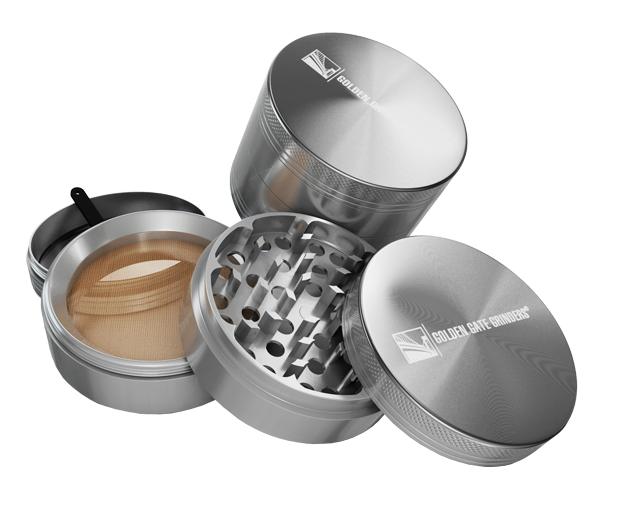 Golden Gate Grinders sell top quality herb grinders in the San Francisco Bay Area! 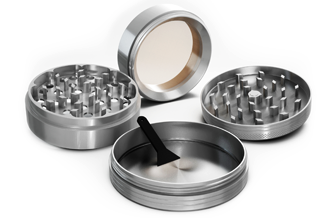 Save with Free Shipping on all herb grinders for a limited time! 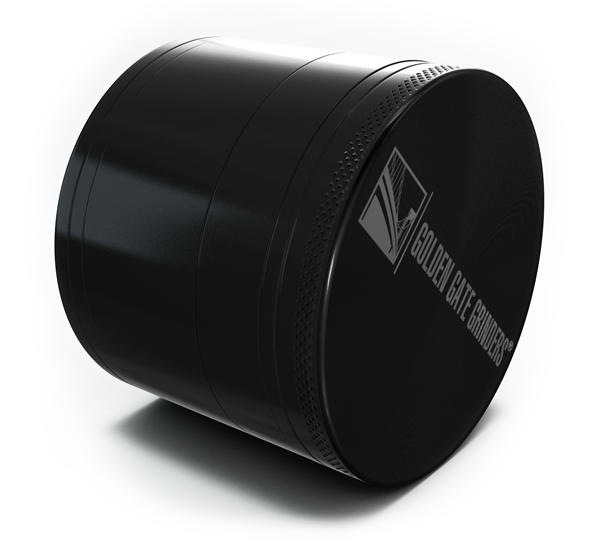 Are you looking for a high quality herb grinder that will last for many years to come. Our grinder is ranked as the best grinder on BestGrinderGuide.com. We pride ourselves on selling an amazing product that is built to last. 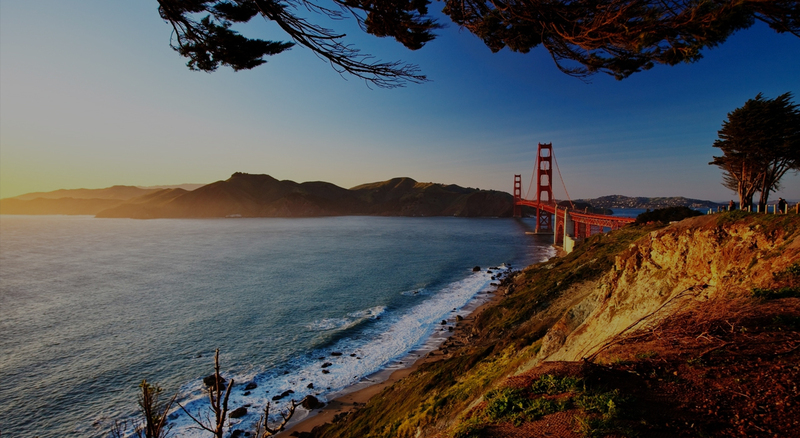 For the past year, Golden Gate Grinders has worked towards becoming a the top online place to buy your herb grinders in San Francisco, California. Are you ready to buy your own Grinder or want to learn more about them? Not only do we sell an amazing product at an amazing price, we also pride ourselves on providing amazing customer service. Ready to Buy on Amazon?